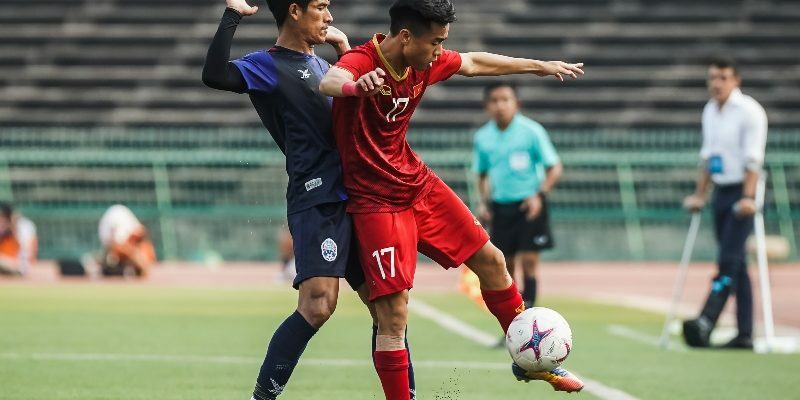 PHNOM PENH (26 Feb 2019) – Substitute Le Xuan Tu had not been on the pitch for very long but that less than half a minute presence was enough for him to give Vietnam the third spot in the AFF Under-22 LG Cup 2019 when they beat hosts Cambodia 1-0 win in the classification match at the National Olympic Stadium. While the match might lacked the usual tenacity given that it was a classification tie, still both Vietnam and Cambodia were adamant in wanting to give the fans something to cheer. Cambodia created a string of chances but In Sodavid and Sin Kakada could just not get the final touch while Vietnam’s Le Minh Binh’s header just missed the target all together. It was not until the 86th minute when Xuan Tu headed in the lead that turned out to be the winner that the match finally came alive. And while Cambodia’s Narong Kakada got the foot in, Vietnam keeper Ye Li Ni E was just in his element as he denied the attempt for them to take third spot in the competition.